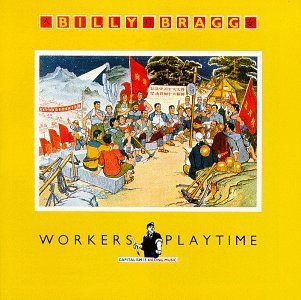 After two (and a half) albums of mainly hard-hittting, often cynical politically-motivated material, Billy Bragg realised that he was at something of a crossroads in his music career, as he referenced in “Waiting For The Great Leap Forwards" - “will politics get me the sack?”. 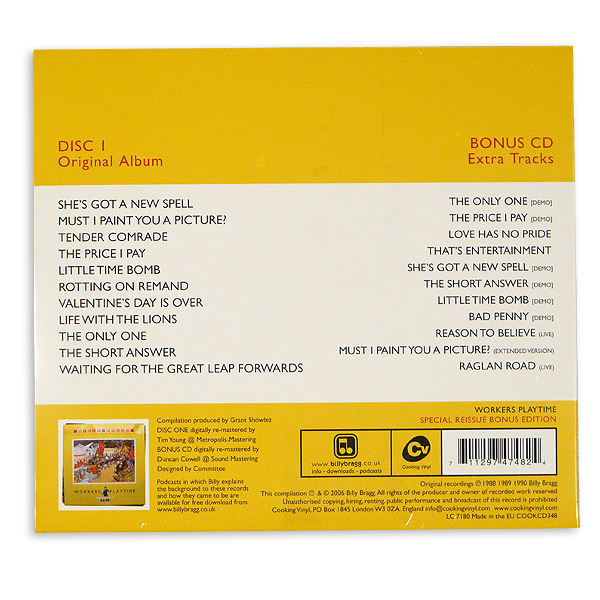 He decided to let his heart do the talking on this album more than he had before (although “St. Swithin’s Day”, “This Saturday Boy”, “Greetings To The New Brunette” and “Levi Stubbs’ Tears” were previous heartfelt “love” songs), and we get lovelorn Bragg classics like “Must I Paint You A Picture?”, “The Only One”, “The Short Answer” and “Valentine’s Day Is Over” which are up there with his finest ever songs. Indeed, there is a case for their being some of the finest love songs written by anyone. He strips love down to its bare, obsessive bones and bares his soul starkly and beautifully. He wonders “can this sticky stuff really be love” and muses on how his parents could have conceived of him. Deep and very meaningful. Then there is the depressed cynicism of the failed lover in “Little Time Bomb” and “The Price I Pay”. Billy isn’t having much fun at this time in his life, it seems. 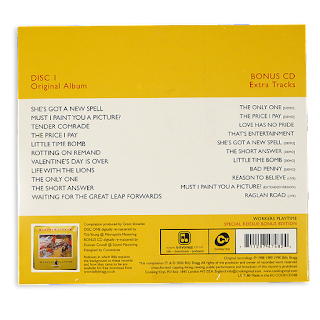 There are also some more oblique songs, lyrically, such as the mysterious and melodic “She’s Got A New Spell” and the country rock and self-loathing lyrics of “Life With The Lions”. The politics is still there of course with the vocal-only and plaintive “Tender Comrade” and the bleak reality of prison life in “Rotting On Remand” and the album’s anthemic tour de force, “Waiting For The Great Leap Forwards” which builds up marvellously into a singalong celebration of Bragg’s possible movement into stardom (something he knew would never really happen). He paraphrases Mott The Hoople’s “All The Way From Memphis” too at the song’s climax - “it’s a mighty long way down rock ’n’ roll, from “Top Of The Pops” to drawing the dole…”. Quite, Billy. Here’s to you.